In case you were curious, "you look fabulous today". We love this subject. Do you? Apparel goes far beyond the simplistic definition of “things being worn”. It is such a complex concept, we felt obligated to create this special page as tribute to the word. According to many fashionistas, the most obvious function of clothing is to make us look fabulous. We tend to agree. However, we should all keep in mind that the primary function of clothes and footwear is to protect us from the elements. Let’s keep in mind the basic fact that we as humans typically need food, shelter, and clothing to survive (yes, water is good to have as well). In addition to making us look trendy, there is no doubt that apparel improves the comfort of the wearer. In hot climates, garments provide protection from sunburn. They can also help cool us when manufactured with appropriate textile fibers or certain performance fabrics. In cold weather climates our apparel’s thermal insulation along with the phenomenon of wicking help keep us stay dry and warm. OK, I think that we all can agree that what we wear helps our appearance as well as our level of comfort. Now that we have that explanation behind us, we can move on to discuss the fact that looking good and feeling good is only part of the apparel story. In addition to being, “items to be worn” such as shirts, pants, socks, jackets, sweaters and underwear, apparel is an entire “industry”. The reality is that there are hundreds, thousands or tens of thousands of sub-topics that are relevant to the business of creating t-shirts & jeans. 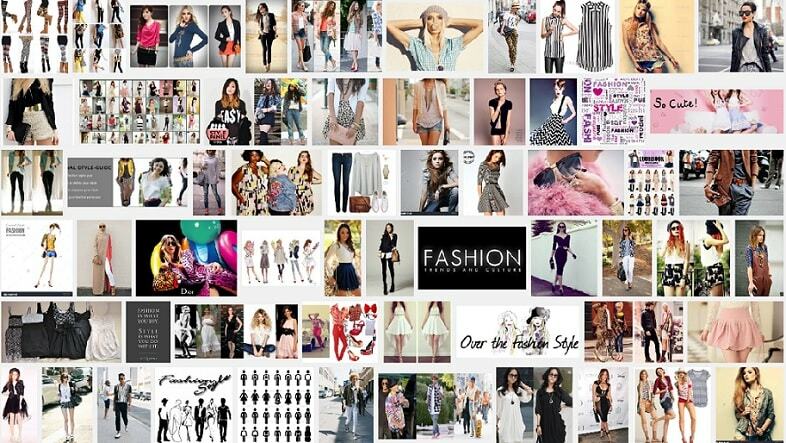 As such, we can go on for days talking about the various aspects that are important to apparel. As a matter of fact, we can actually go on for “years” discussing the topic as we have done on this website. Believe it or not, we have spent decades (not years) exploring this industry and creating ApparelSearch.com as a result. With the goal of enlightening ourselves regarding the depth and breadth of the apparel industry, we have built this website in an effort to explore, expand, and teach the meaning of apparel to ourselves and to others. The subject matter is clearly the center of our universe. To make a long story a bit shorter, our website focuses on every aspect of the garment industry. This includes fashion, shoes, handbags, and all sorts of style relevant accessories. We even lump jewelry and beauty products into what we believe to be the world of fashion. Let’s be honest, makeup, earrings, and watches help define our look and therefore should be considered part of our style. Please join us on the journey to learn more about apparel. In many societies, clothing reflect standards of modesty, religion, gender, and social status. Our personal style or taste in regard to what we wear can really matter. Visit the next page to learn more about apparel. We will help guide you to relevant factories, wholesalers, retailers and other information to help with your research.